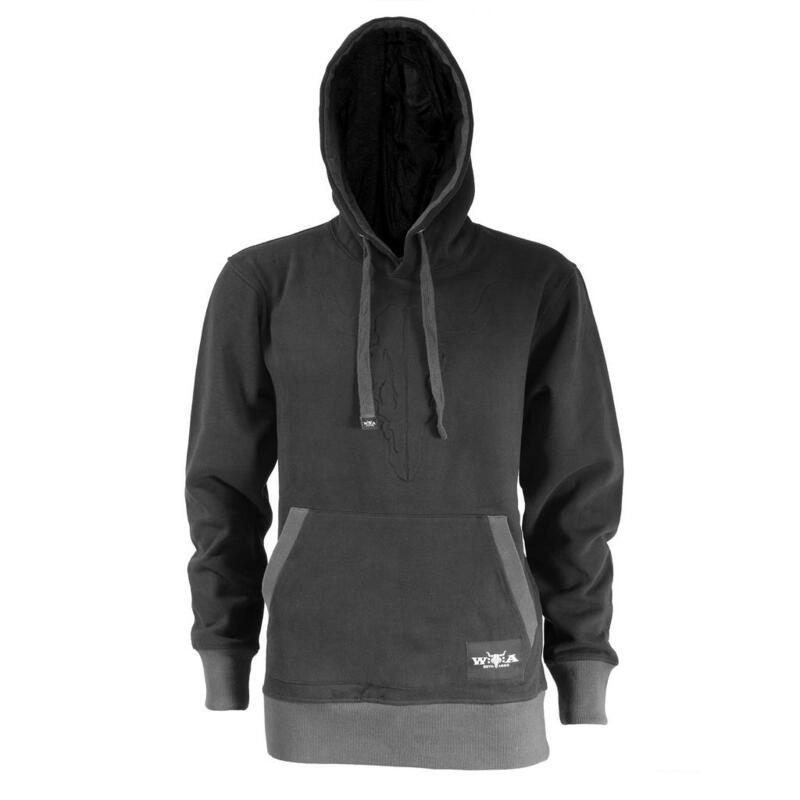 This hoodie is a must-have for every real metalhead and fan of the W:O:A and it is also the perfect companion on cold days. 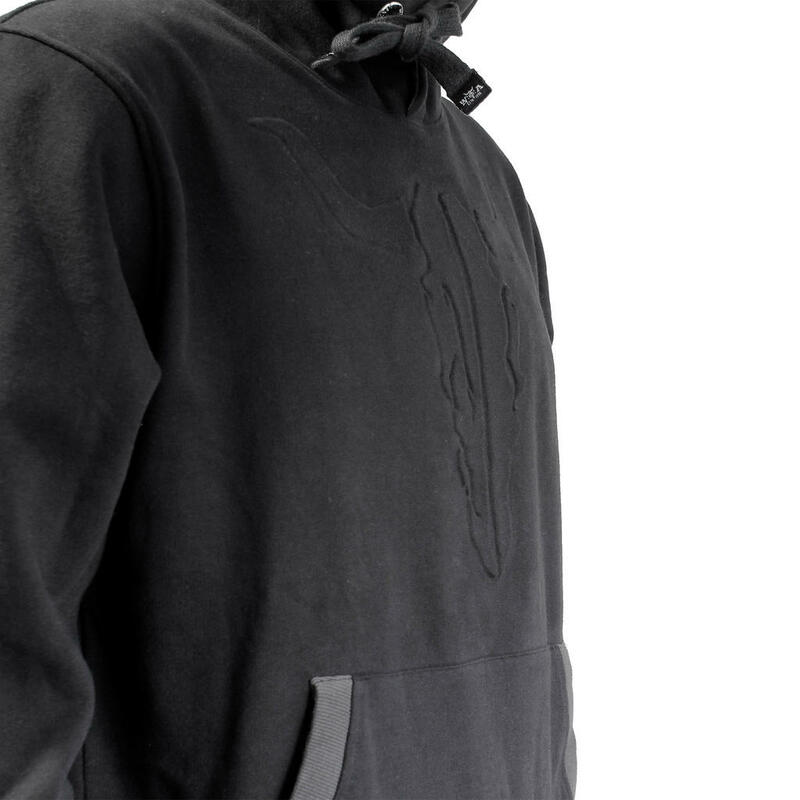 A big bullhead decorates the front as a high-quality stamping in a subtle design, moreover the famous emblem is embroidered outside of the hood. 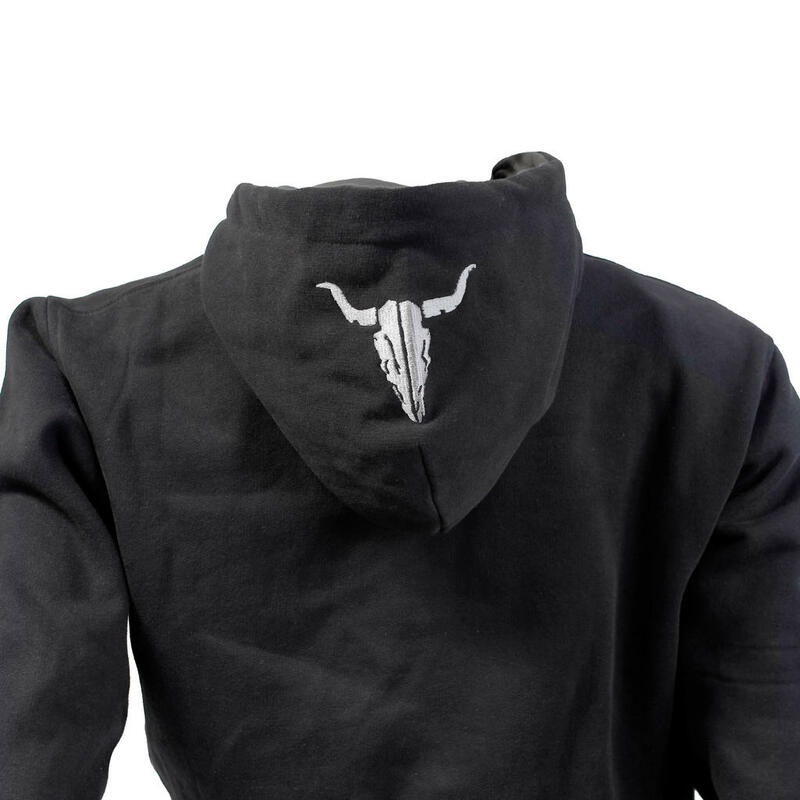 Inside the hood, an imprinted skeleton hand shows the famous Heavy Metal Horn, the metallic eyelets are decorated with the lettering "Wacken" and on both ends of the flat cord you can see the official W:O:A logo. 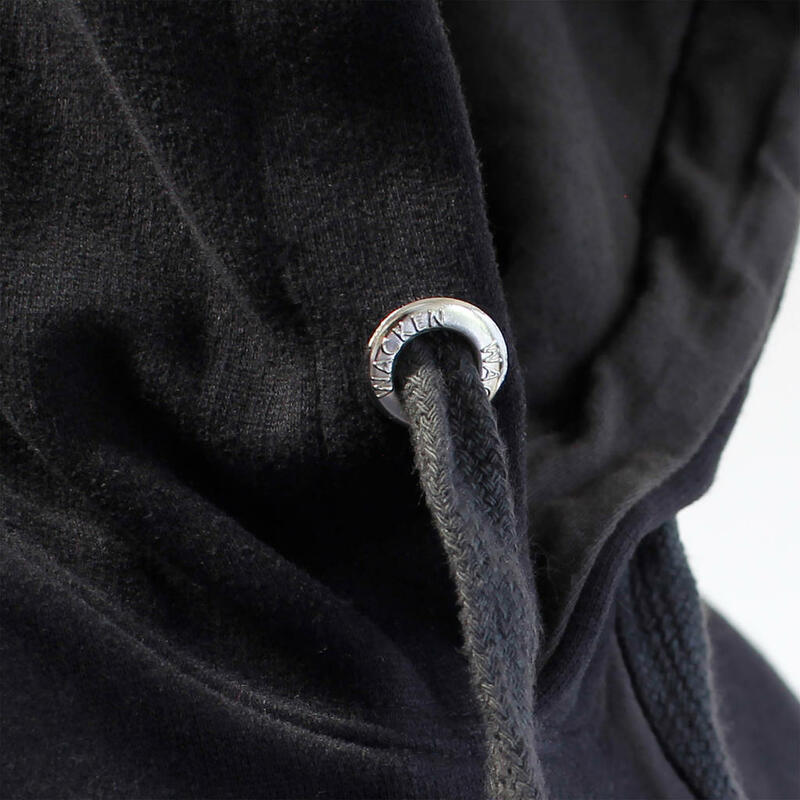 The pocket on front of the hoodie works as a small stowage space and hidden inside the front pocket, a small lockable pocket ensures the safe transport of your mobile phone. 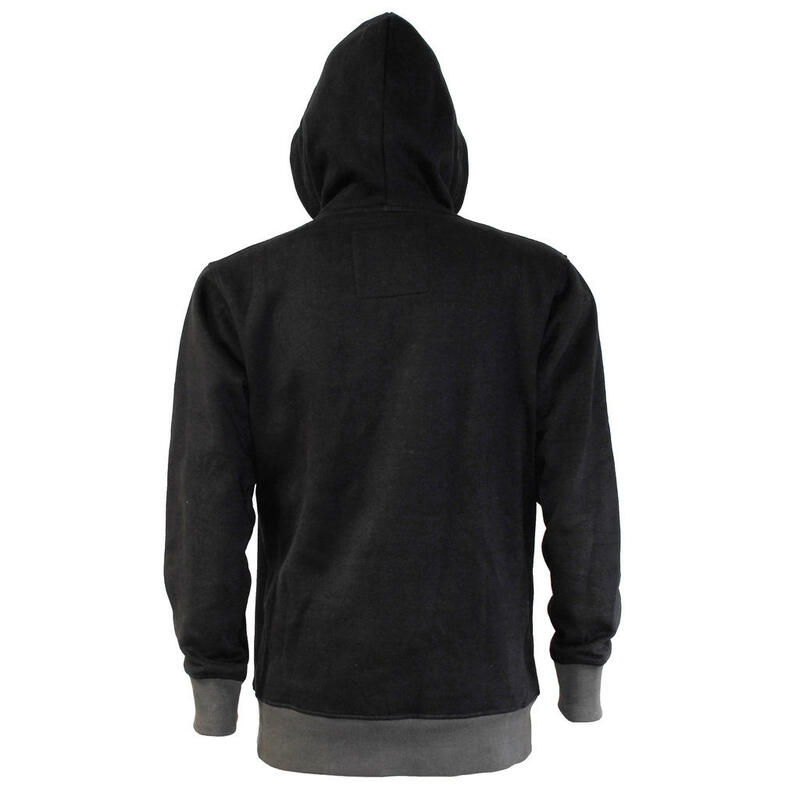 Additional highlights are the hem bands and the hoods inner lining - the dark brown is in contrast to the black hoodie and makes it an absolute eyecatcher. 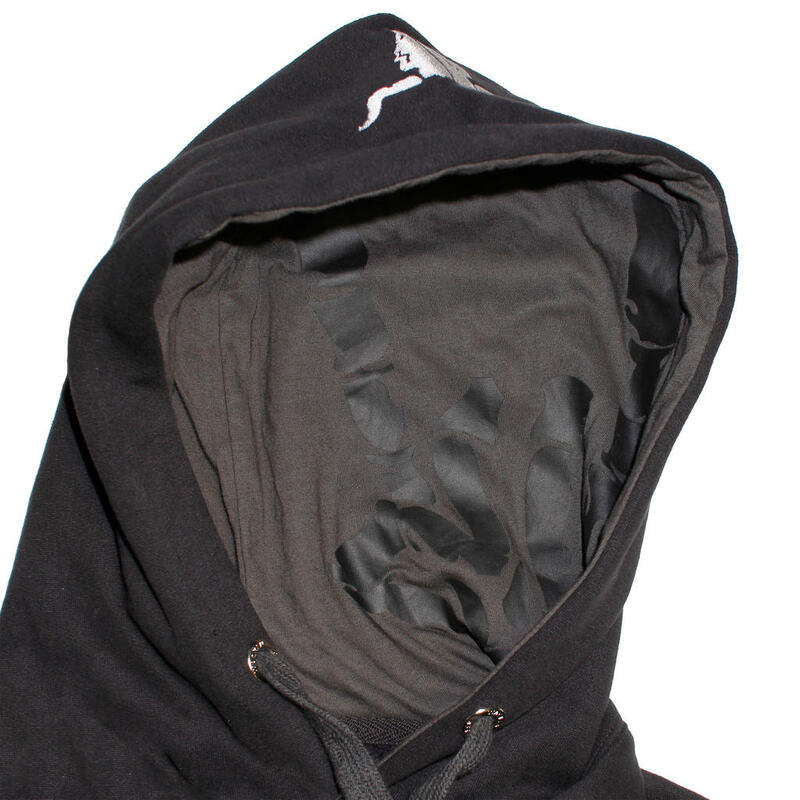 With its 330g per m² of material the "Black Hoodie" is thicker than the average 280g/m² hoodie. Attention: The Hoodies are a bit smaller! Maybe you will have to buy it one clothing size larger than you do normally.